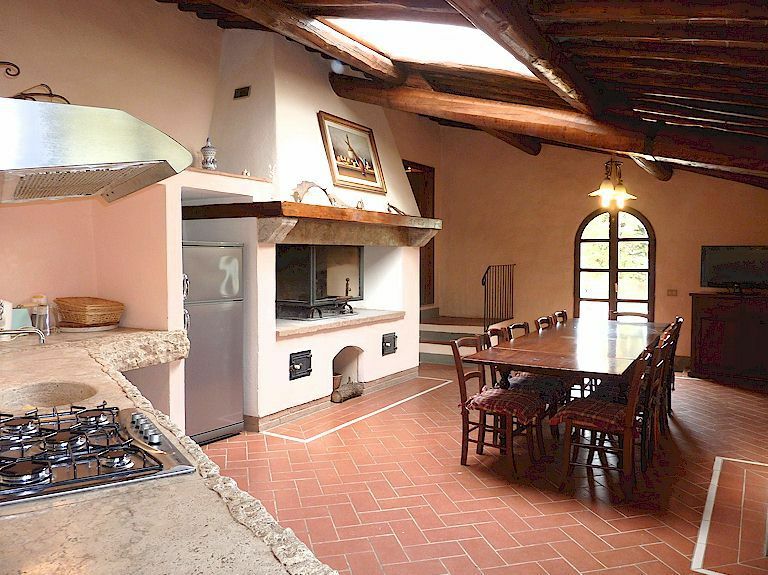 Today I want to introduce you to a beautiful vacation accommodation for two people in Chianti in the form of an exquisite half-house apartment located just outside the wall of the fortified village of Montefioralle. 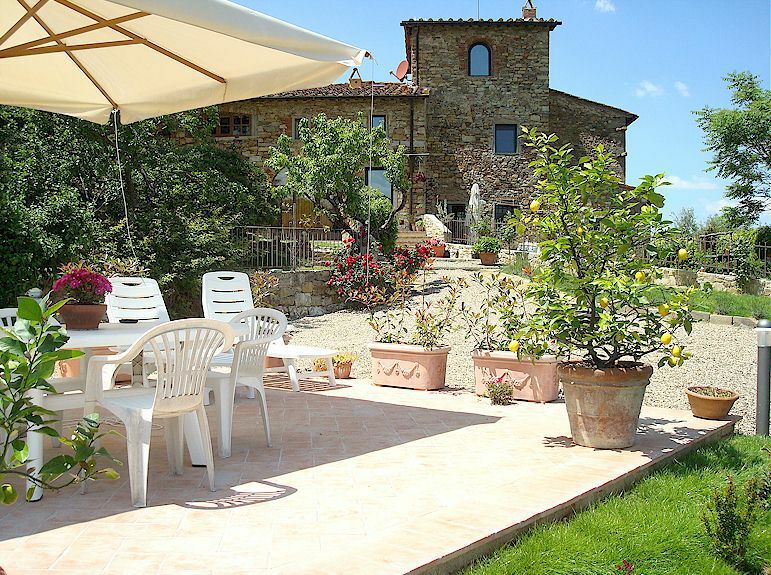 This picturesque village is situated 2.5 km from Greve in Chianti, halfway between Florence and Sienna. 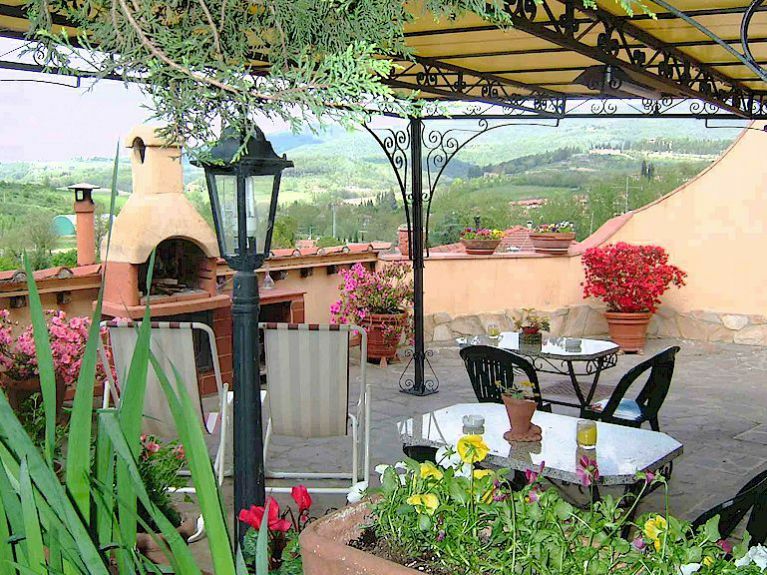 Casa Forese consists of a modern, fully-equipped kitchen-dining room, a commodious double bedroom and a modern bathroom. 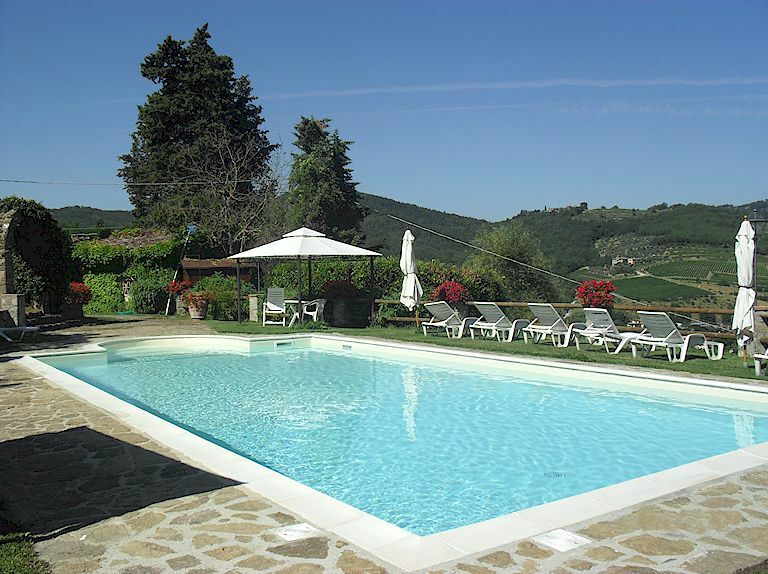 The vacation accommodation opens onto a spacious, horizontal (rare in Chianti) and fully fenced garden where guests can relax in their deckchairs with a view of Montefioralle. There is plenty of parking space outside the gate of the apartment. 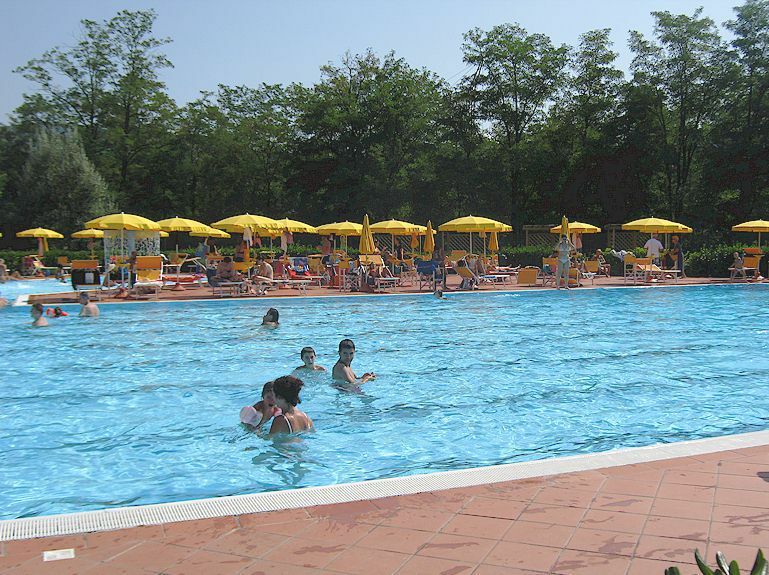 Montefioralle has two restaurants within easy walking distance (5 and 10 minutes, respectively) and there are numerous food outlets and a Coop Supermarket in Greve. 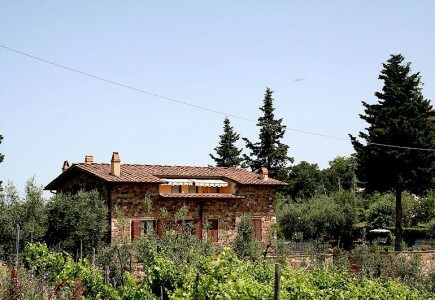 Although a car is useful for exploring Chianti, it’s possible to walk in 20 minutes between Montefioralle and Greve, where the bus to and from Florence stops. The bus takes one hour to reach central Florence. There are numerous “strade bianche” through the surrounding vineyards and olive groves, making this part of Chianti a hiking paradise. 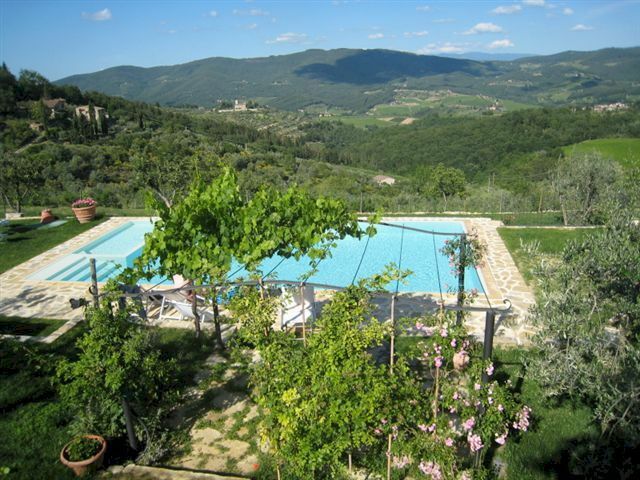 More about Casa Forese vacation accommodation for two people in Chianti.